Wondering how many applications to send? Here’s your Top Ten Answers! 1. Even if you apply Early Decision or Early Action, you won’t hear from these schools until very close to mid-December, which means that you have to prepare your other applications regardless of whether you are accepted or not. With high school winter vacations complicating the process, since your school guidance counselor will not be accessible over the break to answer questions or send out the school’s part of late-breaking applications, you need to be ready to send out those applications. 2. It is possible that your ED or EA school will defer your application to the regular applicant pool. Rather than choose other schools at random, you need a solid list. 3. 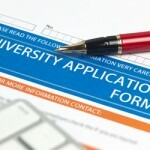 The average recommended number of applications is anywhere from 10 to 15 colleges, including three or four “reach” schools, three or four “target” schools, and three or four “safety” schools. Applying to 30 or 35 schools may be exciting, but it is also expensive and eventually confusing. 4. If you have specific requirements for your college–for example, you wish to attend only schools within commuting distance from your current home or you plan to participate in a unique activity not offered at many colleges–your list might be on the shorter side of the spectrum. 5. If you’re primarily applying to selective schools, i.e., schools with acceptance rates in the single digits, you should consider applying to more schools (somewhere between 12 and 15 schools, depending on time and financial resources). 6. Remember that there are fees for submitting applications that add up quickly (though do take a look at CEW’s blog post about fee waivers to see if you qualify for them!). Thirty applications at an average of $75 each can cost over $2,000! 7. Your strongest applications are going to be for the schools you know really well and genuinely want to attend, and you only have so much time to do stellar and thorough work. 8. Apply only to schools you genuinely want to attend or that your parents would allow you to accept. 9. Continue doing your research. Don’t be afraid to eliminate a school from your list if you no longer feel it is right for you. 10. Have an open mind as you peruse the list of schools on the Common App and the Coalition App. Just because you haven’t heard of a school or seen anyone wear its t-shirt doesn’t mean it isn’t a great fit for you. Use the resources that are available to you including the advice of your counselor and an advisor like College Essay Whiz! The application process: What Are All the Choices? There are over 500 schools that take the Common Application as well as hundreds of other schools to consider. Many applicants start off with a wish list of about 30 schools, but it is neither advisable nor necessary to apply to more than about a dozen colleges and universities, assuming that you have selected a range that are reaches, reasonable or likely to be safe choices. Don’t apply to schools that are so far out of your reach that you are wasting your time, but don’t sell yourself short, either. Just make sure that you are being realistic. Also, it is a good idea to consult with your parents: Will they allow you to travel all the way across the country? Do they object to any of your choices? Make sure that if you get in, there are no obstacles to going to any of these schools. Once you have your list, the questions turn to the various decision plans. If you have a dream school and you know that you would go there if accepted, then you may consider applying early. That can be done through Early Decision, Early Action, or completing an application for a Rolling Decision school as early as September. If you are not sure, then you may want to apply Regular Decision. There has been a trend among schools to accept a significant percentage of their applicants early. Some of the schools will consider your early application and decide that they want to see how you do in high school during the first semester. They will then defer their decision about you until March or April. Other schools will either accept or reject you as early as December. No matter what early option you take, it is essential to prepare all of your applications, even for the regular decision schools, in a timely manner so that you can have everything ready to go in November or December. Some high schools expect that you will adhere to their timelines so that the guidance department and the teachers who are writing recommendations will have enough time to do their parts. Early Decision: If you have a dream school to which you have a reasonable chance of being accepted, you may apply Early Decision. The deadlines for early decision are generally in October or November, and you will hear from the school in early to mid-December. More and more schools are accepting students early for a variety of reasons, and that puts the pressure on applicants who feel that their chances of being accepted are better if they show a definite interest in attending only one school. If you are accepted Early Decision, you MUST accept the school (unless the financial aid package is inadequate). You may also apply to Early Action schools at the same time, and you may apply Regular Decision to other schools, but you must withdraw all other applications if you are accepted Early Decision. Sometimes there are two deadlines, approximately a month or two apart. Early Action: If you apply Early Action, and you are accepted, the decision is binding to the school but not to you. You may still apply to other schools Early Action and Early Decision as well as Regular. Single Choice Early Action is non-binding; applicants will find out whether they are accepted sometime before the holiday break, but you may not apply to any other school ED or EA. 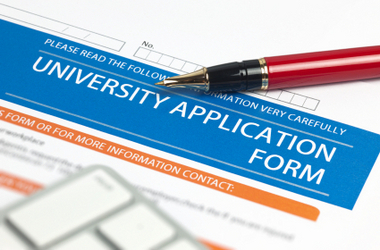 You can still apply Regular Decision to other schools even if you are admitted. Restricted Early Action (REA on the CA4): A small number of schools have a plan with specific requirements that you must fulfill if you use this plan. Check with the individual schools. You may also see references to “Priority Admission.” Schools that offer applications on a rolling basis will post a priority date. Applications received by the priority date are reviewed first and given an admissions decision before other applicants. Also, some schools will then evaluate those candidates for earlier consideration for scholarships. Regular: Applications are generally due between December 15 and March 15, most commonly January 1 (keeping in mind that high schools are closed for a winter break and will most likely require that you have all of your materials ready beforehand). Keep in mind that your counselors and your teachers will be writing recommendations, and that they need time to do so at least a month before the deadline. Also, you will need to plan your SAT/ACT testing so that the scores will be sent to the schools in plenty of time.